If you’re not visiting Reddit regularly, you’re missing out. It’s a fantastic way to find articles that interest you, discover new passions, or simply to discuss the biggest news stories of the day with other users. It doesn’t matter how obscure your interests are, there is almost certainly a section of the site dedicated to it. Everything from your favorite sports team to ancient Egyptian architecture has a subreddit, and there are now almost 900,000 individual subreddits to choose from. It’s inevitable that you’ll find plenty of people to discuss your favorite topics with on Reddit. But can you make your Reddit experience even better? Of course you can – just follow these nine neat hacks! Any seasoned Reddit user How To Use Reddit Like an Old Pro How To Use Reddit Like an Old Pro There are plenty of online communities which can be found on the Internet - Facebook, Twitter, Google+ and YouTube are easily the most popular and recognizable ones. However, there are plenty of other gems online... Read More knows about the Reddit Enhancement Suite (RES), but we’ll include it in this list for those who are less familiar with the site. The most frequent criticism of the Reddit site it that it looks like it’s stuck in 2005. It’s not a highly polished, feature-laden offering, and some features that you might expect to have been implemented are still missing. RES goes some way towards solving this problem; it’s packed with cool tricks that make using Reddit more enjoyable. For example, it includes an account switcher and a comment karma counter in the header, NSFW filters, comment previews, a subreddit tagger, and converts pages into endlessly-scrolling lists. It’s free to use and is available on Chrome, Firefox, Safari, and Opera. There are loads of subreddits that are dedicated solely to imagery How to Improve Your Photography Skills Using Reddit How to Improve Your Photography Skills Using Reddit Finding constructive photography advice online can be a real challenge, but there's one place that you might have overlooked: Reddit. Read More – for example, r/earthporn and r/abandonedporn. It follows, therefore, that some people mainly use Reddit to look at images. If you fall into that bracket, you can improve your experience by installing the Imagus extension. It will enlarge thumbnails and show images or videos by simply hovering your mouse over the link. In a similar vein, did you know you can view any picture-based subreddits in a slideshow? It’s a great hack if you’re not interested in reading any of the comments. It’s really easy to do – just add a “P” to a subreddit’s URL – so reddit.com/r/EarthPorn would become redditp.com/r/EarthPorn. In true slideshow style, you can change the speed at which the images rotate along with a few other settings. If you’re a long-time Reddit user, there’s a good chance you’ll be subscribed to a couple of hundred subreddits. This creates several problems. Firstly, it’s near impossible to keep track of all that content via the front page or by visiting the subreddits on an individual basis. Secondly, only 50 subreddits are included on your front-page at a time (100 if you have Reddit Gold). Thirdly, since mid-2015 any subreddits which have not been active in the previous 24 hours will not have their content included in the aforementioned 50/100. The solution is to use One Useful Trick That Stops Reddit From Being a Waste of Time One Useful Trick That Stops Reddit From Being a Waste of Time How much time do you waste visiting Reddit every day? Here's a quick trick that saves you a ton of time by bringing Reddit updates right to you. 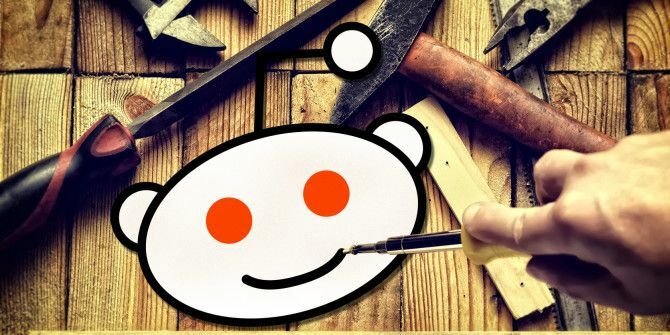 Read More multireddits One Useful Trick That Stops Reddit From Being a Waste of Time One Useful Trick That Stops Reddit From Being a Waste of Time How much time do you waste visiting Reddit every day? Here's a quick trick that saves you a ton of time by bringing Reddit updates right to you. Read More . They are personally curated collections of subreddits which act like another mini front-page. You could use them to group together subreddits around a similar topic or to collect your favorite ones into a single list. Making them is simple. Expand the multireddit tab on the extreme left of the screen and click Create. Give it a name and click Create again. You’ll then be shown the multireddit’s page. You can add subreddits by typing the name in the appropriate field on the right-hand side of the screen. The downside of using multireddits is that Reddit doesn’t make it very easy to navigate to them. The native multireddit bar is both cluttered and ugly. Sadly, RES doesn’t offer a simple “click-to-add” feature for placing multireddits on the shortcut bar, but there is a hack you can do. Just click on the + icon in the top right corner and type ../me/m/[multireddit name] in the field labeled Subreddit (replacing [multireddit name] with whatever you assigned to your creation). Drag it to the trash bin in the top right-hand corner if you want to delete it again. If you can’t be bothered going through the hassle of creating your own multireddits, you could subscribe to some existing subreddits that have been made public. Once again, you’ll need to navigate to the multireddit bar on the extreme right of your screen and click on Explore Multis (alternatively, navigate to reddit.com/r/multihub). Once you’re there, you can use the search box in the top right to find content of interest. Reddit’s native search feature is notoriously poor. If you’re looking for something specific or you are frequently searching the site to find new content, it’s better to make Google do the leg work instead. The easiest solution is to make a keyword search 11 Advanced Searches to Bookmark to Become a Google Power User 11 Advanced Searches to Bookmark to Become a Google Power User Turn yourself into a true Google power user with these 11 advanced searches and pro tips. This will make sure you never have to recall these searches and yet will always have them at your fingertips. Read More for your browser. If you’re on Chrome, right-click in the Omnibox and select Edit Search Engines. Scroll down to the bottom of the list, enter https://www.google.com/search?q=site%3Areddit.com+%s in the URL field and give it a keyword of your choosing. On Firefox, press CTRL + B, right-click on Unsorted Bookmarks, and choose New Bookmark. Fill in the necessary details, and paste the same URL string as above into the Location field. After it’s set up, you just type your keyword into the omnibar, e.g. “Reddit”, and follow it with the words you want to search for. It’s also possible to set up keyword searches for other browsers. 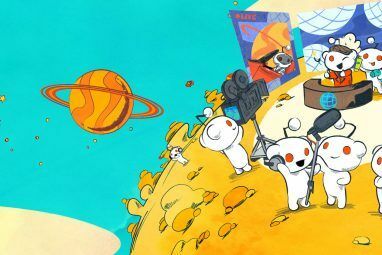 There is so much awesome content on Reddit The Most Sociable Subreddits and How to Find Them The Most Sociable Subreddits and How to Find Them Read More that from time to time you’ll want to save some of it Save Your Favorite Comments & Give Gold To The Best Submissions On Reddit Save Your Favorite Comments & Give Gold To The Best Submissions On Reddit Reddit has been slowly but surely making tiny improvements to the social chatter it collates. This week it brings two changes to the community. Read More to refer back to later. Thankfully, the site will let you save both individual comments and entire threads. To save a whole thread, click Save underneath the thread’s title from the subreddit’s homepage. To save an individual comment, hit the save button below it. You can find all your saved content by going to your profile page and clicking on the Saved tab at the top. Hint: Bookmark this page and come back to it on a regular basis. How can you find cool new subreddits 5 Ways To Find The Best Obscure Subreddits On Reddit 5 Ways To Find The Best Obscure Subreddits On Reddit Since its surge in popularity in 2006, Reddit has truly become the epicenter of social news and information. We're in an age where the newspaper is gradually inching towards extinction as more and more people... Read More to subscribe to? Unsurprisingly, there are a few routes you can take. Firstly, check out Reddit’s main subreddit list. It’ll mix some of the currently trending subreddits in with the ones you currently subscribe to. You could also try some of the subreddits dedicated to the subject of finding new subreddits. Two of the most popular are r/newreddits and r/subredditoftheday. Lastly, check out some of the third-party services. Metareddit and Subreddits are arguably the best. How Do You Hack Reddit? The list of Reddit hacks is almost endless. There are a million ways that users supercharge their experience to get more out of the site. We’re interested to learn more about how you use the site. 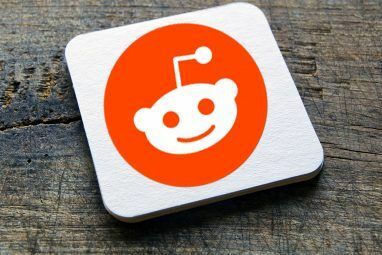 Do you have a certain add-on 8 Extensions To Transform Your Reddit Experience 8 Extensions To Transform Your Reddit Experience Believe it or not, there are a whole host of extensions out there that can make your Reddit experience even better. Here we take a look at eight of our favorites. Read More that makes your experience more streamlined? Have you unearthed a RES setting which changes the way you discover your content? You can leave your tips, hints, and hacks in the comments section below. You need to stop using the word "hack". You clearly do not know what it means. My favorite thing to do is to setup a IFTTT for every time I save something on Reddit, it automatically gets saved as a special note in Evernote that I can catalog and index.